EVERY child with no exception contracts this before the age of 12 months! Sometimes it is very mild and more a nuisance than anything. However, there are other times where the mamas and papas are concerned, breathing is labored or rapid, sometimes a fever, sometimes wheezing and often a nasty wet cough. Some kids are more susceptible to respiratory infections than others. I know my oldest always gets it worse than the other two. He always develops a deep wet cough, often has wheezing and has a hard time sleeping at night due to the cough. The others are uncomfortable for a few days… maybe a slight cough lingers, but never much more than that. Difficulty breathing always worries me…. And for good reason… if there is no breathing there is no life! Only once have I had to take Tonchi to an urgent care for his cough. A neb helped open him up and we never used the antibiotic, but he had made me nervous. I don’t think I’m usually a nervous ninny, but breathing will do it to me. We haven’t needed nebs any other time and I hope we can treat it at home from here on out! I think I had gotten behind the ball with treating it at home and by the time it got that bad, there wasn’t much I could do to help him. With that said, we have quite an arsenal of respiratory remedies. As I’ve said before I don’t usually opt for traditional medication, but at the same time most cough and congestion medications aren’t recommended for children under four. Elevate the head of the bed. With children two or older an additional pillow is fine. For younger children place large phone book or pillow UNDER the mattress to elevate the mattress. DO NOT place the pillow in the crib or toddler bed with the young child. [amazon_link id=”B000GWJD0A” target=”_blank” container=”” container_class=”” ]Cool mist humidifier[/amazon_link] – at night or while sleeping. Steam – Can have a family member take a hot shower to steam up the bathroom and have the child hang out in the bathroom at the same time. Cup of tea: Take caution with the temperature that it doesn’t burn the child. Tonchi likes tea a lot when he is sick and I will often just use hot tap water to make the tea so it isn’t too hot and add honey to soothe the cough. This will help relieve the congestion and nasal irritation and help with hydration. Honey – 1 tsp for a child over the age of 1 year. Give as needed for the cough. Can also add to tea or just take it straight. If there is a lot of mucus in the cough try cutting out diary and also maybe wheat and sugar which also produce mucus. Cut out sugar – sugar greatly weakens the immune system, by removing it, the body will better be able to fight off the illness. See post on Fever for other ideas for relief of symptoms especially if the child has a fever. 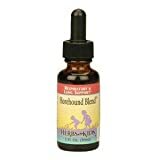 [amazon_link id=”B0001TK8VG” target=”_blank” container=”” container_class=”” ] [/amazon_link]Horehound – We often use the Herbs for Kids brand because it is available in the nearest grocery, but my preference would be to order from Gaia. Dose per bottle instructions. [amazon_link id=”B000A7MFZQ” target=”_blank” container=”” container_class=”” ] [/amazon_link]Echinacea – Herbs for Kids is the brand we use. Dose per bottle instructions. Dose as you would an antibiotic: give for 7 to 10 day and then stop. [amazon_link id=”B001DJBYHK” target=”_blank” container=”” container_class=”” ] [/amazon_link]Hylands Cough Syrup – Is mostly honey with a few herbals. I really like it and the kids don’t mind taking it. 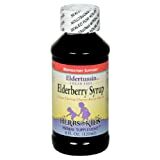 [amazon_link id=”B00016WT34″ target=”_blank” container=”” container_class=”” ] [/amazon_link]Elderberry Syrup – help relieve the cough and wheezing. 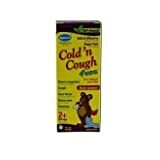 [amazon_link id=”B002MTYF6M” target=”_blank” container=”” container_class=”” ] [/amazon_link]Hylands Cough n’ Cold 4kids – These dissolve in the mouth and help to relieve runny nose, hacking cough, sore throat, and chest congestion. [amazon_link id=”B000B8Y97Q” target=”_blank” container=”” container_class=”” ] [/amazon_link]Hylands Complete Flu Care 4kids – These dissolve in the mouth and help to relieve fever, chills, body aches, headache, cough and congestion. 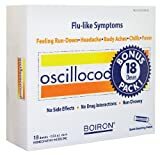 [amazon_link id=”B00014D2VY” target=”_blank” container=”” container_class=”” ] [/amazon_link]Pulsatilla – Boiron – These dissolve in the mouth and help to relievewheezing that is worse at night and often with a lot of phlem in the chest that needs to be coughed out. [amazon_link id=”B00181G8LU” target=”_blank” container=”” container_class=”” ] [/amazon_link]Arsenicum Album – Boiron – These dissolve in the mouth and help to relieve wheezing, especially at night with fitfulness or agitation. I have used [amazon_link id=”0874778433″ target=”_blank” container=”” container_class=”” ]Everybody’s Guide to Homeopathic Medicines[/amazon_link] by Stephen Cummings, M.D., and Dana Ullman, M.P.H. This book has been very helpful to help figure out what remedies would be best depending on the symptoms. Coughing spasms that cause the child to loose their breath or cause a bluish tint to their lips. Coughing with an inability to clear mucus from their throat causing gagging or vomiting. I hope some of this information is helpful and aids your little one in weathering their illness and bringing it to a quick end!